Les Elephants Bizarres ofeta de Mar?i?or atât elefanelor cat ?i elefanilor, al patrulea videoclip numit "Wish(You were here)”, a doua piesa de pe cel de-al doilea album al turmei, ce urmeaza sa fie lansat in aceasta primavara! Melodia “Wish (You Were Here)” a fost eliberata pe undele radio la sfar?itul lunii februarie si este insotita ?i de o reprezentare video care incanta turma de elefani incepand cu 1 Martie. Piesa face parte din coloana sonora a filmului romanesc Kiddo, in regia lui Millo Simulov, care a regizat ?i clipul turmei bizare. Albumul ce va fi lansat in aceasta primavara este produs de Bogdan Popoiag ?i, printre piesele ce vor fi incluse pe noul material discografic, se numara ”Wish (You were here)” ?i “Smile”, melodie care se bucura deja de un videoclip care a luat prin surprindere publicul. Five young Romanians brainstormed their musical ears and creative minds during the glorious year of 2007. What has come up was a French name with different story-based meanings and catchy tunes that filled up the clubs and festivals across Romania. Indeed, we are talking about the members of the most prolific new band in Romania: LesElephantsBizarres. The band was formed in 2007 with the original members: Catalin Radoi (Proka) – guitar and backing vocals, Mihai Marin - bass and backing vocals, Stefan Matei – leading vocals and Claudiu Stirbei - drums. 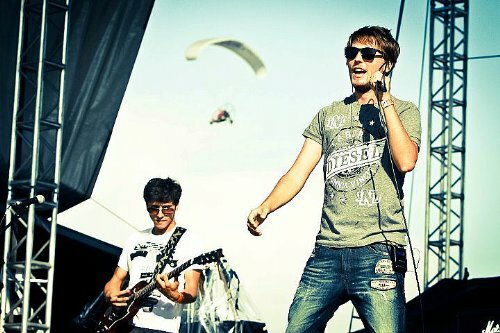 In the spring of 2008 Nae (Nicolae Cazacu) joined them on the synth. In the quest for defining the band’s genre, the only term that came close is "electro-pop-rock". The media has placed their style in other categories like: disco-punk, indie-rock, indie-pop, alternative, funk-rock. 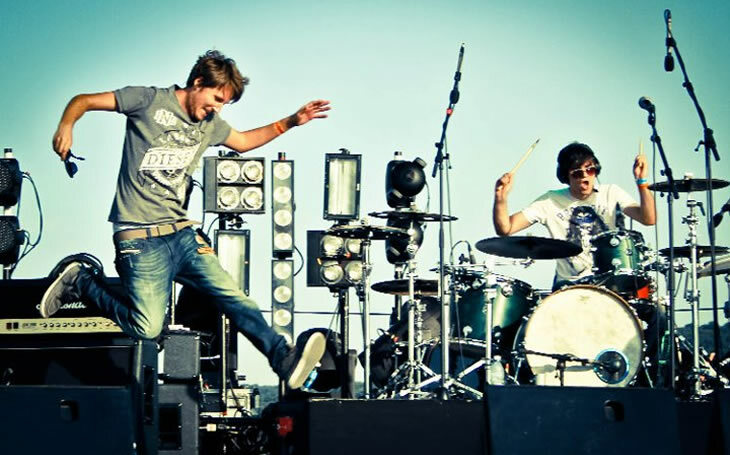 Since their debut in the Autumn of 2008, the number of live performances has increased, mainly in clubs in Bucharest. In 2009 the bizarre herd established a constant presence on the Romanian musical scene. They opened for We Have Band (UK), The Haunts(UK), A-LIX(Arg/Fr), Asleep In The Park (Aus), The Prostitutes (CZ) and have performed at the biggest festivals in Romania: in july 2009 at B’Estfest, performing on the same stage as Motorhead and Moby and in September at Golden Stufstock. 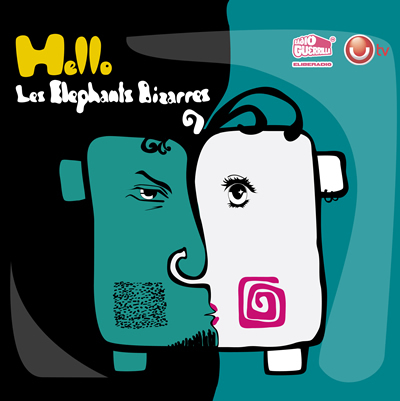 In 2010, the elephants released their first video for the new version of their song “Hello! (Says The Devil)”. The song reached number 1 at Radio Guerrilla’s international chart and stayed there for 4 weeks. This is the first single that came out of their first album (“Hello”) and helped them tour the most watched entertainment and musical shows on TV and has been selected as the soundtrack for a national Pepsi campaign. The album was released in the fall of 2010 and was produced by Bogdan Popoiag (UNU’). The national tour that followed and the next two singles: „Mushroom Girl” and „The Boys” confirmed the rise of the bizarre pachyderms and their desire to leave a huge mark in the musical jungle. Since April 2011, the herd has a new bass player: Hasan Nabulsi. In the current line-up they will pound their way on bigger stages, suited for their weight. Stages like the ones at Ursus Evolution Tour and Peninsula (opening for Kasabian (UK)) . With their new bass player, the elephants have started working on their second album and by the end of the Summer of 2011 will release a new music video for the first single („Smile”) from the upcoming album.